What’s Better for Weight Loss: Cutting Calories or Eating More of THIS Food? We’re now seeing that a wider waist-line and fattier mid-section is more than just a simple issue of how you fit into your pants and how you look in the mirror. It’s now becoming clear that eating an unhealthy diet, not being physically active and being overweight (especially when that weight is being carried around your belly area) is strongly linked to the development of a string of other dangerous and life-threatening health issues, such as high triglycerides, high LDL cholesterol levels, high blood pressure, insulin resistance, high fasting blood sugar, metabolic syndrome, heart disease, diabetes and stroke. Doctors stress that reducing belly fat is the best way to treat many of these chronic health issues. However, while calorie restriction has been the cornerstone of most weight loss strategies, the evidence suggests that the majority of people who lose weight by cutting calories from their diet wind up regaining it during subsequent months or years. While starving ourselves seems to lead to weight loss results in the short-term, it’s been shown again and again that, as a long term strategy, it almost never works to keep the weight from returning full force later on. That’s why researchers believe that a far more effective weight loss strategy is one that focuses on exercise and “weight loss foods” in the diet – foods that actively lead to the attainment and maintenance of a healthy body weight and improved metabolic control – rather than simply cutting calories out of the diet. Now it’s just a matter of discovering which foods naturally contain these magic weight-loss properties. Research has already linked a variety of incredible superfoods to amazing weight loss effects, such as green tea, hot peppers, whey protein and others. And now a recent study published in the British Journal of Nutrition has put yet another food to the test – beans. Eating beans was already associated with lower body weight, a slimmer waist-line, lower obesity rates and lower blood pressure, when scientists compared the health of populations who eat more beans regularly with populations who don’t. However, when trying to study the effect of any given food on large groups of people outside of a lab, it’s hard to know whether it’s the food itself that is creating the positive health effects or whether the people who are eating that food are also more likely to be doing other things leading to better health. For example, perhaps cultures that eat more beans in their diet are also more likely to exercise, and so it may be the exercise – and not the beans – that are creating lower body weights and less health problems in these people. That’s why researchers finally decided to put beans to the test. A group of test subjects were split into two groups. One group was asked to not change anything in their lifestyle except for adding 5 cups of lentils, chickpeas, split peas or navy beans to their diet ever week. The second group was asked to cut 500 calories from their diets every week. This means that the bean-eating group was eating far more calories than the calorie-cutting group throughout the study. The researchers wanted to see which group would be more successful at losing weight, reducing their risks of metabolic syndrome and improving their overall health. Shockingly, the group eating more calories fared better than the group eating less calories. Not only did eating beans regularly prove to be just as effective as calorie restriction when it comes to losing weight, shrinking one’s waist-line and improving blood sugar control, but the bean dieters also experienced additional health benefits that the calorie-reduced dieters didn’t, such as improved digestion, metabolism, immunity and others. 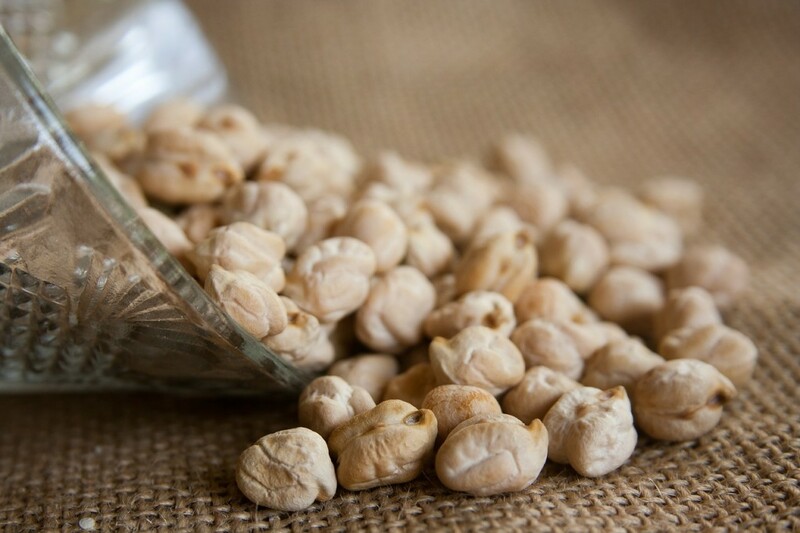 The researchers concluded that five cups a week of beans, chickpeas, split peas, lentils and other beans reduced risk factors for metabolic syndrome equally – and sometimes even more effectively – than simply cutting calories from one’s daily diet. While portion control and eliminating toxic, processed and refined foods is critical when it comes to losing weight and improving your health, science is proving that focusing on what you are eating is ultimately more important than focusing on how much you are eating, when it comes to long-term weight management and good health. Are “Negative-Calorie Foods” Real or Myth?